Remember our Bethlehem Small World Play Scene? Well, we've finally added our stable! 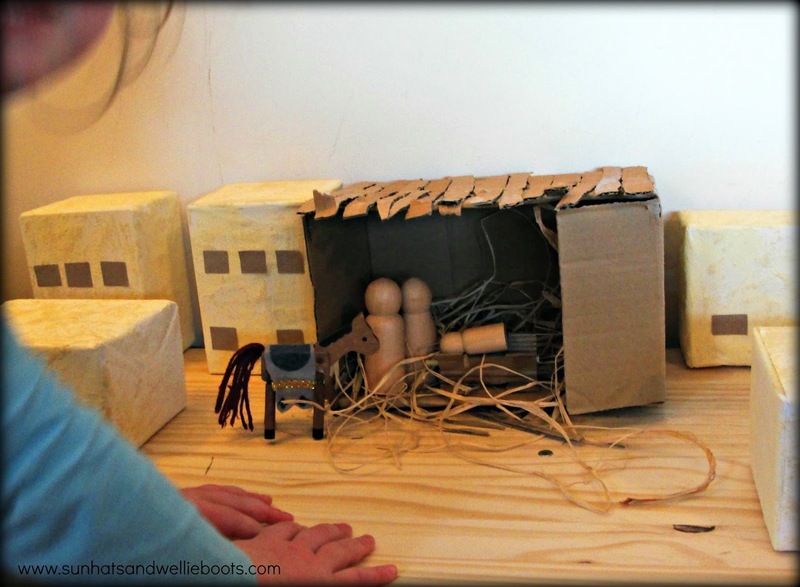 This simple small world play scene created from recycled materials has offered so many opportunities for imaginative play. 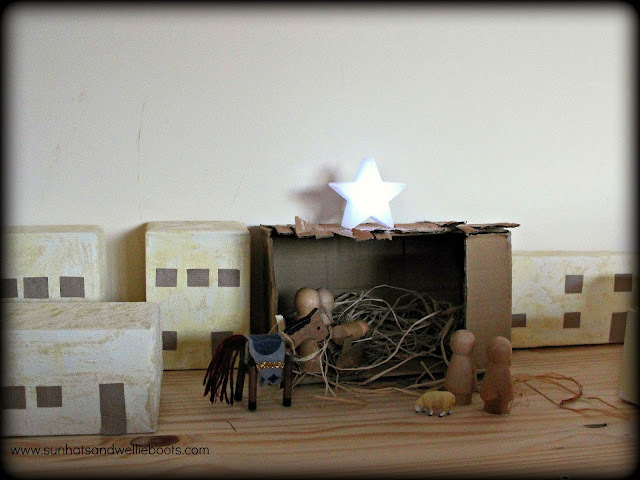 We used a small recycled cardboard box to represent the stable, & added a few strips of cardboard for a roof, plus a few more to cover the stable floor. 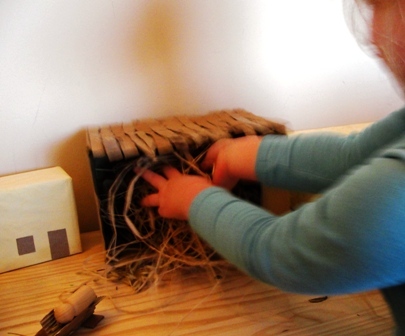 Minnie finished it off with a handful of straw & added our homemade manger. 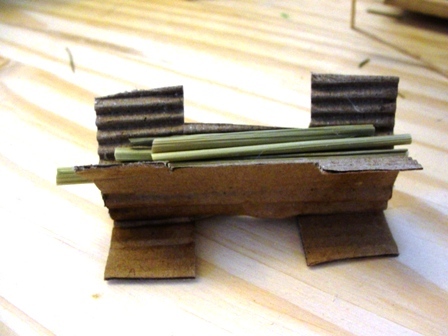 This was simply made from two pieces of H shaped cardboard & stuck together at the bottom, with a little straw added to the middle. There are also hills... & they're alive with the sound of bleating! 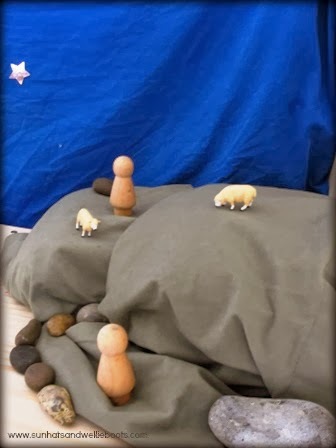 The small sheep from Minnie's toy farm are enjoying grazing on the hilltop. To make the basic structure of our hills we used an upturned mixing bowl, a small narrow box, some scrunched up newspaper & covered with some remnants of curtain fabric. 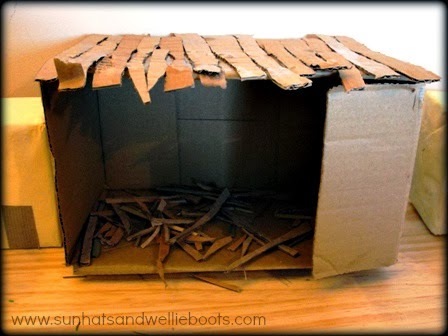 (Any green fabric would be perfect for this, as any excess material can be tucked underneath the container.) 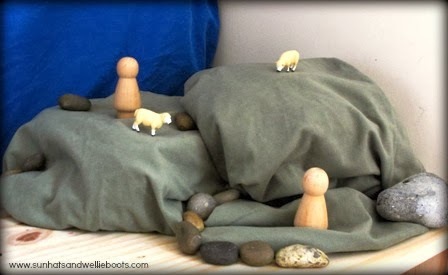 To add another texture & create a rocky hillside scene, we added a few pebbles. 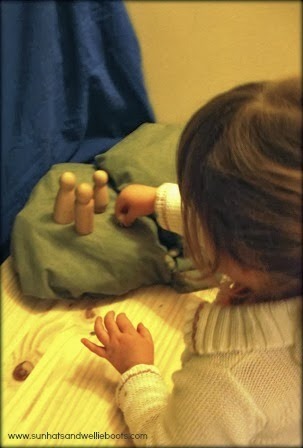 In a new twist to the Christmas story Mary & Joseph visited the shepherds!! 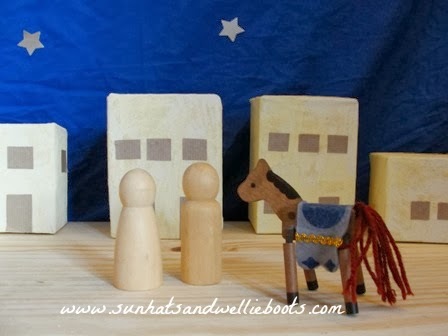 The characters have had many adventures in this small world play scene, & it's been wonderful to observe Minnie's imagination, creativity, & understanding of the story at 3yrs old.